Today we will discuss about battery ignition system main parts, function, working, advantages and Disadvantages. Most of SI engine used battery ignition system. In this system a 6 volt or 12 volt battery used to produce spark. Passenger cars, light truck, motorcycles and large stationary engines are fitted with this system. A battery is used to provide energy for ignition. It is work as storage of energy and charged by dynamo, which is driven by engine. It converts chemical energy to electric energy. Two types of battery used in spark ignition system, lead acid battery and alkaline battery. The first one is used in light duty commercial vehicle and the other one is used in heavy duty commercial vehicle. It is housed in primary side of ignition coil. It is used to turn on and off the ignition system. Battery is connected to the primary winding of ignition coil by ignition switch and ballast resistor. It is connected in series with primary winding to regulate current in primary winding. It is used to prevent injury due to overheating of ignition coil. It controls the current passes through primary winding. It is made by iron. Iron has property of increase electrical resistance rapidly by increase in temperature at certain limit. This additional resistance resists flowing current which control the temperature of ignition coil. Ignition coil is the main body of battery ignition system. The purpose of ignition coil to step up the battery voltage (6 or 12) to a high voltage, which is sufficient to produce spark at spark plug. It consist a magnetic core or soft wire or sheet, and two electrical winding called primary winding and secondary winding. The primary winding has generally 200-300 turn and the end are connected to exterior terminal. The secondary has almost 21000 turns of copper wire which is insulated to withstand with high voltage. 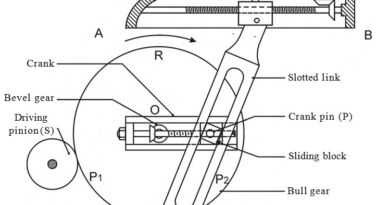 It is located inside the primary winding and its one end connected to secondary winding and other end is grounded either to primary winding or to the metal case. This entire unit is enclosed in a metal container which makes it a compact unit. This is a mechanical device making and braking the primary circuit to ignition coil. When the points are closed current flow in ignition coil and when it open, flow of current stopped. It is a simple electrical capacitor in which two metal plate are separated by an insulating material with a distance. Commonly air is used as insulating material but for particular technical requirement some high quality insulating material is used. Distributor is used in multi cylinder engine to regulate spark in each spark plug at correct sequence. It distribute ignition surge in individual spark plug in correct sequence. There are two types of distributor. One is known as carbon brush type and the other one is gap type. In carbon brush type carbon brush carried by the rotor arm sliding over the metallic segment embedded into the distributor cap or molded insulating material. This makes electric connection or secondary winding with spark plug. In gap type distributor electrode of rotor arm pass close to but does not make contact with the distributor cap. So there is no wear of electrode. A spark plug generally has two electrodes which are separated with each other. A high potential discharge flow through it which generate spark and ignite the combustion mixture in cylinder. It mainly consist two electrodes a steel shell and an insulator. The central electrode connected with the supply of ignition coil. It is well insulated with the outer steel shell which is grounded. There is a small air gap between steel shell and central electrode, between which spark is generated. The electrode usually made by high nickel alloy so it can withstand with high temperature and corrosion resistance. In the battery ignition system ignition coil stores the energy in form of magnetic field and deliver it at the instant of ignition, in form of high voltage current with high tension wire to correct spark plug. The diagram of four cylinder battery ignition system is as follow. First low voltage current flow form battery to the primary coil through ignition switch and ballast resistor. Ballast resistor regulates the temperature of ignition coil by regulating current passing form it. The ignition capacitor connected in parallel with contact breaker. One end of secondary winding is also grounded through contact breaker. 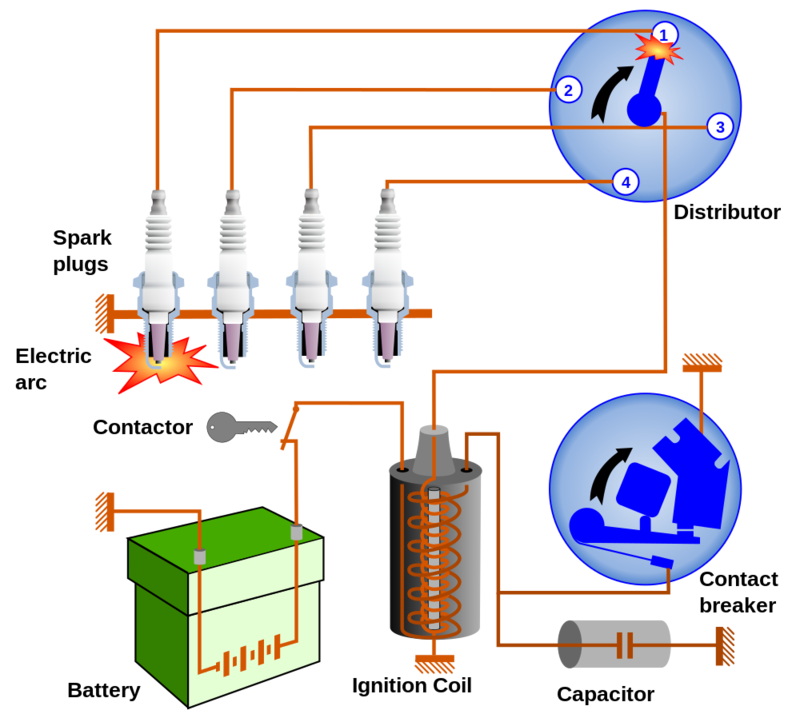 When the ignition switch is closed, the primary winding of the coil is connected to the positive terminal, and current flow through it known as primary current. The current flows form primary coil produces a magnetic field which induces an EMF in secondary coil. The cam regulate the contact breaker. Wherever the breaker open, current flows into condenser, which charged the condenser. As the condenser become charger the primary current falls and the magnetic field collapses. This will induces a much higher voltage in condenser. Now the condenser discharge into the battery which reverse the direction of both primary current and magnetic field. This will induce a very high EMF in secondary winding. Now this high voltage EMF produce spark at correct spark plug through distributor. 1. At the time of starting or at low speed good spark is available. 2. The battery which is used to generate spark can be used to light other auxiliary like headlight, tell light etc. 3. Initial expenditure is less and it has low maintenance cost. 4. Ignition system is not affected by adjusting spark timing in battery ignition system. 1. Time available of built up the current and stored energy is decrease as speed of engine increases. 2. Contact breaker subjected to both electrical and mechanical wear which results short maintenance interval. 3. The primary voltage decreases as the engine speed increase. So it is not fully reliable of high speed engine. 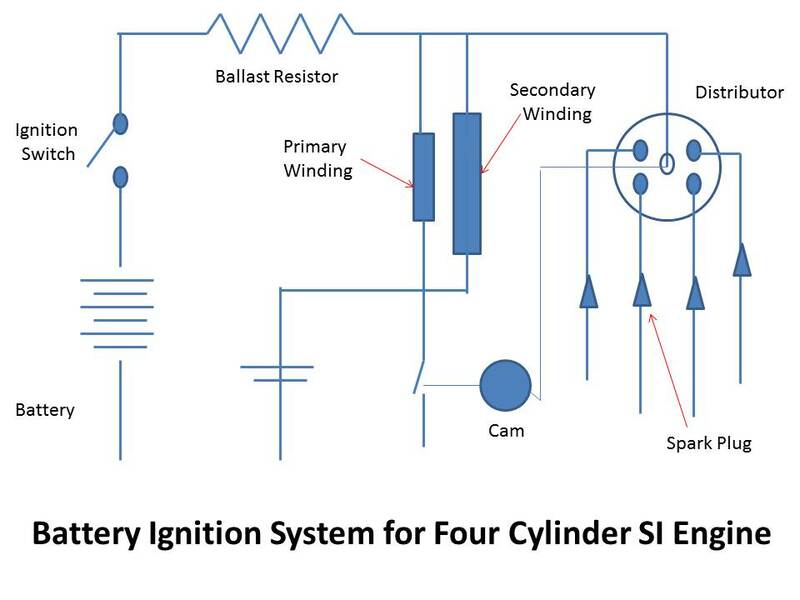 It is all about battery ignition system parts, principle, working, advantages and disadvantages. If you have any query regarding this article, ask by commenting. If you like this article doesn’t forget to share it on social networks. Subscribe our website for more informative articles. Thanks for reading it.